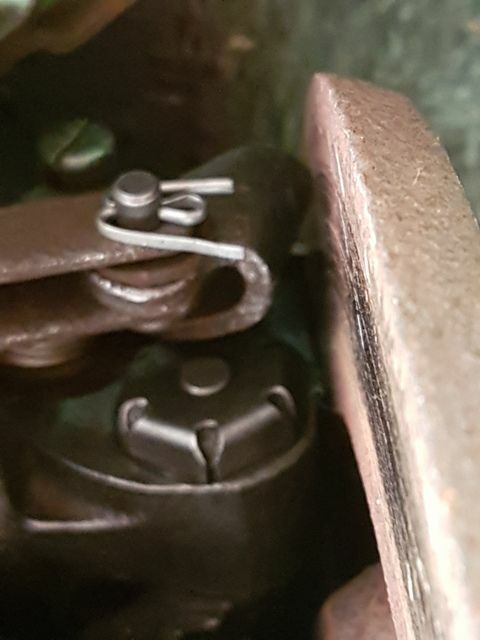 I have been having a problem with the R/N/S brake on my 2000TC. It won't work on hand or foot brakes. The O/S works fine. I took the old caliper off, stripped it down and cleaned it. There was nothing seized on it, the handbrake mechanism worked fine. I put it back on only to find it still not working. 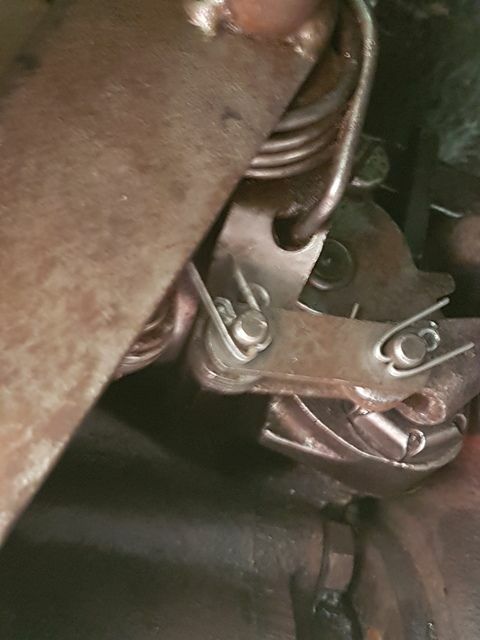 So I bought another caliper (many thanks to Richard W for that) and replaced all the seals with new ones after cleaning it up and checking all the parts work that should. Put it on the car and it still doesn't work! The brake pipes are good on the car. I think it is the hand brake mechanism, not the caliper but from what I can see everything looks ok. Some sound helpful advice would be most appreciated. Many thanks in advance, guys. The foot brake would certainly have issues on the near side if the 2 rear flexi hoses have failed internally. Worth replacing whilst you’re doing brake work as they are cheap. good advice, I did that as a matter of course when I did my front brakes, would do the same if working on the rear too. Thanks, Peter. While I agree that would affect the foot brake, it doesn't explain why the handbrake won't work. I checked the mechanism on the caliper before putting it back on the car and it works how it is supposed to. I am going to take the flexipipes off today and check them with a view to renewal. This is really beginning to bug me as I think it is something obvious that I am not seeing or at least I hope so. Will update later. Thanks again. See here for what a blocked flexi-hose looks like! I see what you mean, Phil. I am going to remove the flexis today with a view to renewal. Thanks for that, Phil. I have stripped the calipers again to make sure everything is done right inside. Tried the ratchet mechanism on both and found them both to be working properly as far as I can tell. I did have a partially blocked Flexio pipe which I have cleaned out than blew compressed air through the pipe. Fluid now passes through the pipe with ease as I found out when I had to remove the n/s caliper again. With the union on the pipe from the o/s to the n/s caliper off the master cylinder soon emptied which tells me the pipe is clear. However, after bleeding the brakes I find I now have no brakes on the rear at all!! I cannot see what I have done wrong as I have done everything the same way I have always done the brakes on her. I got my wife to operate the handbrake while I was underneath watching what happened. When the handbrake is on the o/s mechanism moves whereas the n/s barely moves 1/4". I am now at a loss as to what to do now. I do not know of any classic car garage or mechanics in my area although I do know of a classic enthusiast who also run a garage. So I am going to ring him tomorrow to see if he will come over during the week and have a look at it for me. I am still open to anymore help and ideas though. With exception of selling Minstrel. Don't think my wife will be happy with that. I will be attaching a couple of photos showing the n/s caliper with handbrake on and handbrake off. As you will see there is very little movement. I will be attaching a couple of photos showing the n/s caliper with handbrake on and handbrake off. Try to show both calipers off and on. The handdbrake quadrant is probably close to the disc because the caliper hasn't been set up, it's just been fitted. HI Harvey. The photos show handbrake on and handbrake off in that order. In that case then I'd say that the handbrake bullet is in the wrong place on the quadrant shaft, because the quadrant hasn't moved between the photos. I thought you'd posted the same pic twice by accident. I don't know why it has done that. When I originally put the caliper on it didn't do that. I had to take that caliper off to do get the flexi pipe off and when I put it back on that's how it went on! I'd disconnect the handbrake linkage and see if the quadrant moves back to its "off" stop, and then move on from there depending on the outcome of that. You're going to have to do that anyway if the caliper has to come off again. And BTW, that's the NSR caliper. Brakes all done! All working perfect now. I will post full explanation tonight. Many thanks to all the helpful information from all of you. Very pleased to say brakes all sorted now. Manged to get them done yesterday. I put the new pipes on and then done it all up, bled the brakes and surprise, surprise the brakea worked on the n/S but not the offside! Total reversal of original problem. So took both calipers of. Took them to my workshop where I stripped both down again. Only this time I also stripped out the armature from both calipers. Because to me neither seemed to operate properly. The nearside arm wasn't too bad but cleaned it up anyway and put it back. The caliper seemed to me to be working how it should. 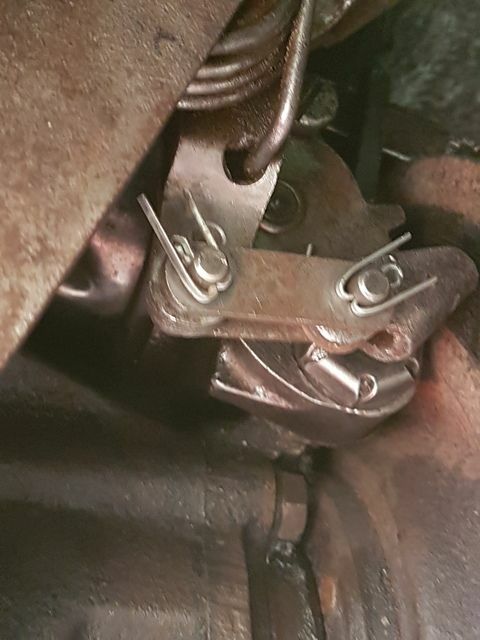 Undone the armature on the o/S caliper but couldn't get it out. The arm was seized solid in place. Soaked it in some Rust Off solution. Had to use the vice to be able to eventually twist the armature out. It was thick with dirt and dried grease. No wonder it didn't work properly! Cleaned it right up on my wire wheel and cleaned the shaft hole out using a soft round pad on a dremel. Used some thinners on that then cleaned it up after with petrol and finally brake fluid. Rebuilt the caliper and tried the armature. Worked perfectly. Put the calipers back on the car, bled the brake with my son. Tried yhe brakes on the foot pedal. Brilluant. Worked perfect. Tried the handbrake. Again worked perfectly, however the pads wouldn't release. Stood there wondering why then I remembered I had adjusted the handbrake as had originally thought the cable was stretched when the brakes first played up. So readjusted the cable and the handbrake work how it should now. So Minstrel all ready for Henham at the weekend. Want to thank all the guys who have given me sound advice. Without you guys the job would have been so much harder. MANY THANKS, GUYS! !